Have a Pixel? Take a closer look at your SIM tray - Google's left a note. Specifically: its address. 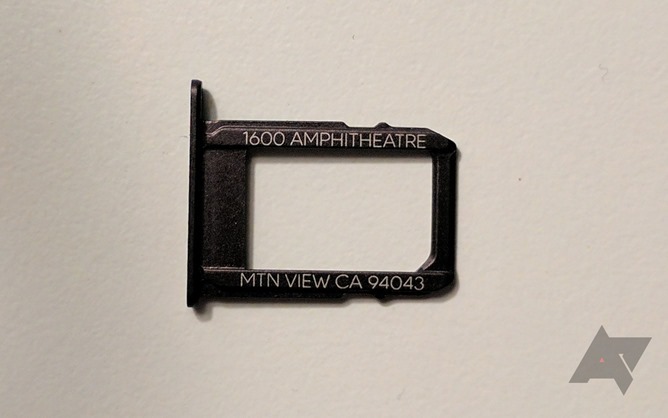 As though to make it really, really, really clear that this is the Phone by Google, Google has printed its address in Mountain View... on the SIM tray. Which is random. But hey, Google. Here's a closer look at the tray from the Quite black model. 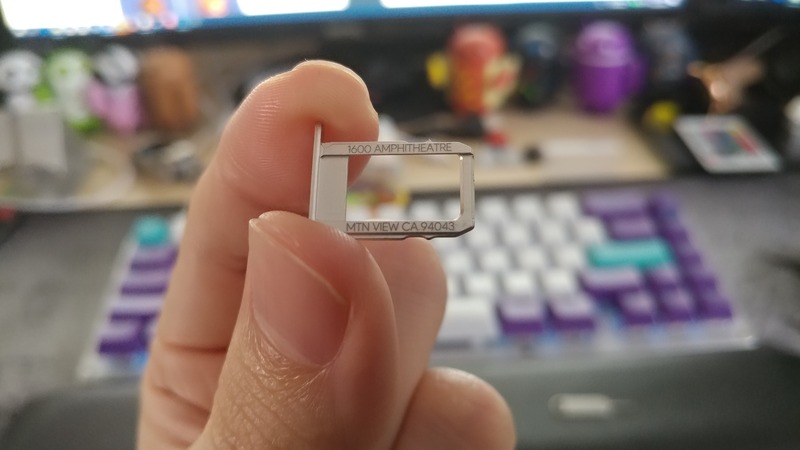 I don't know why Google's address is on the SIM tray, but it is. Also, hopefully no one sends a lost Pixel to Google because they assume this is some obscure way to identify the owner's address. I guess this could be Google's nod to Apple's "designed by Apple in California" message, but regardless, I do find it kind of endearing. If slightly weird (but again: Google).